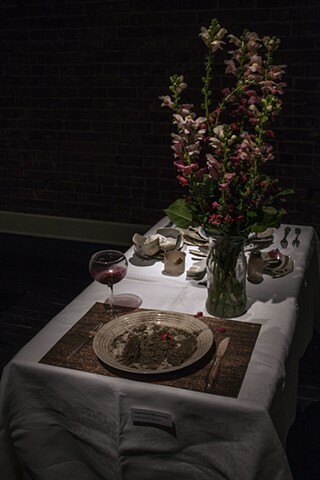 This small installation was included in Spread, a group show of members and invited artists, at the Saranac Art Projects in Spokane, Washington. 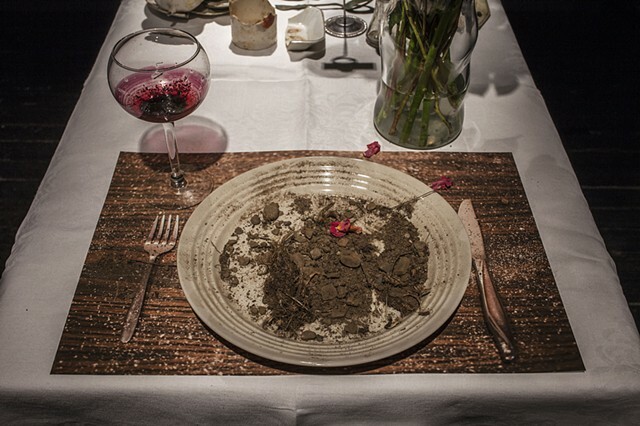 Each artists' classical dinner table place setting was interpreted with unexpected designs and materials. 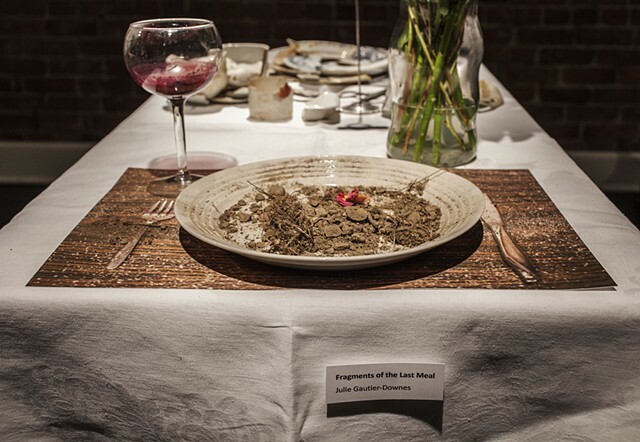 By creating a series of unique place settings, each of the artists envisioned a visually tantalizing dinner party tableaux.